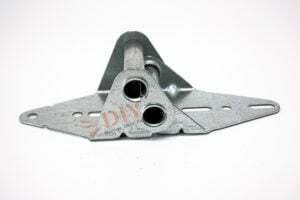 Most garage doors come from the manufacturer with 18-gauge hinges. 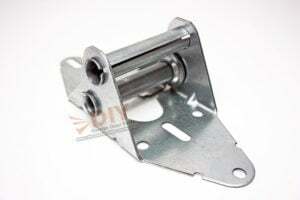 These thin hinges not only run the risk of breaking, but they compromise the strength of your garage door. 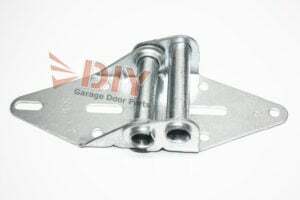 DIY-Garage-Door-Parts recommends upgrading to heavy duty garage door hinges – at least 14-gauge hinges – to add strength to your garage door and extend its life. 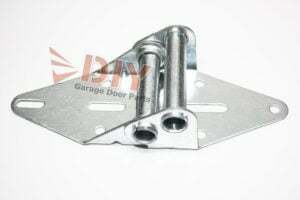 Heavy duty hinges don’t flex as much as thinner hinges from the factory, so your garage door will operate smoothly and silently. 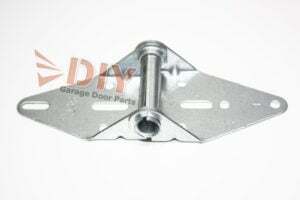 Just make sure you keep your hinges lubricated at the pivot points with a quality garage door lubricant like Denco Gel Lube.